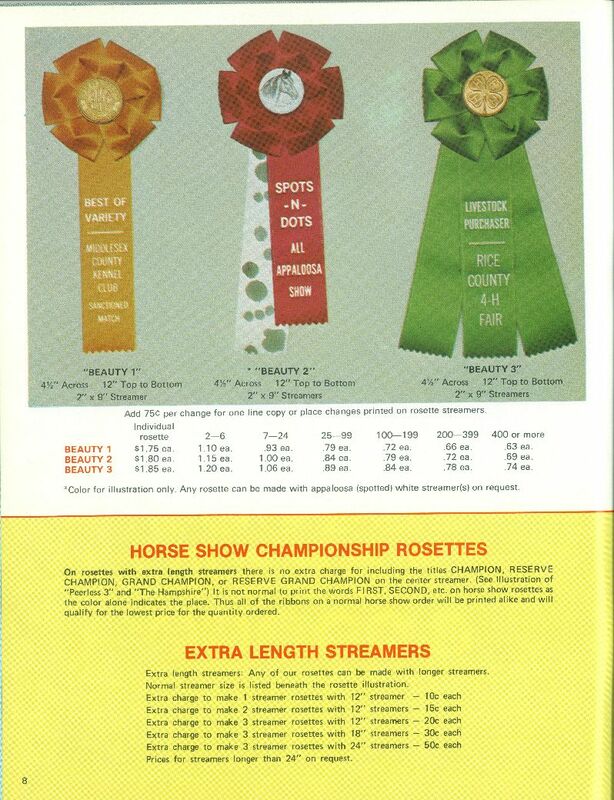 These fair rosettes were probably just as popular as horse show rosettes at the time. 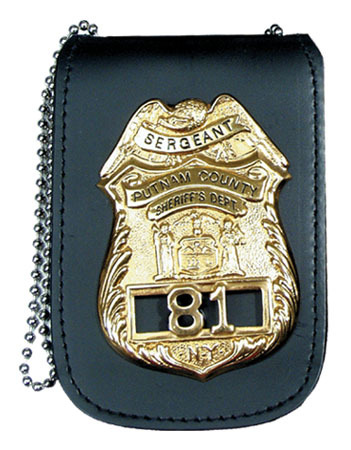 Also note the metal rosette centers. 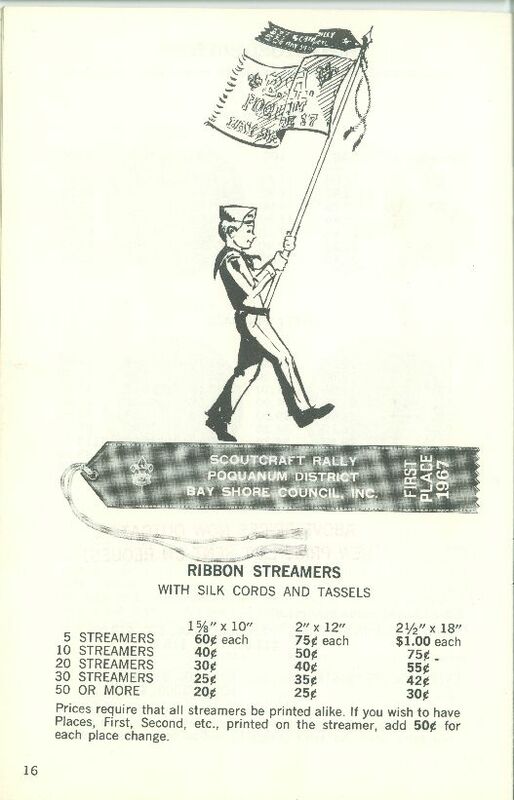 We didn't even have an order form until the 1970s. 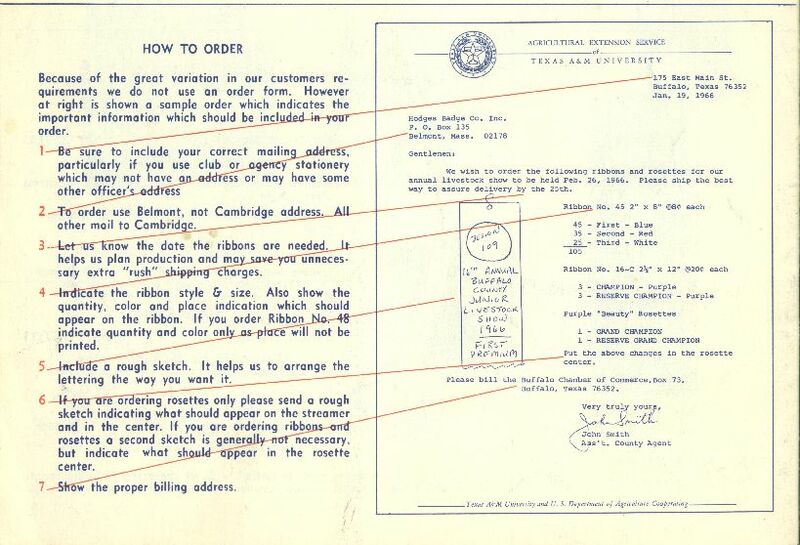 This letter was used to demonstrate how a customer should request their ribbons. 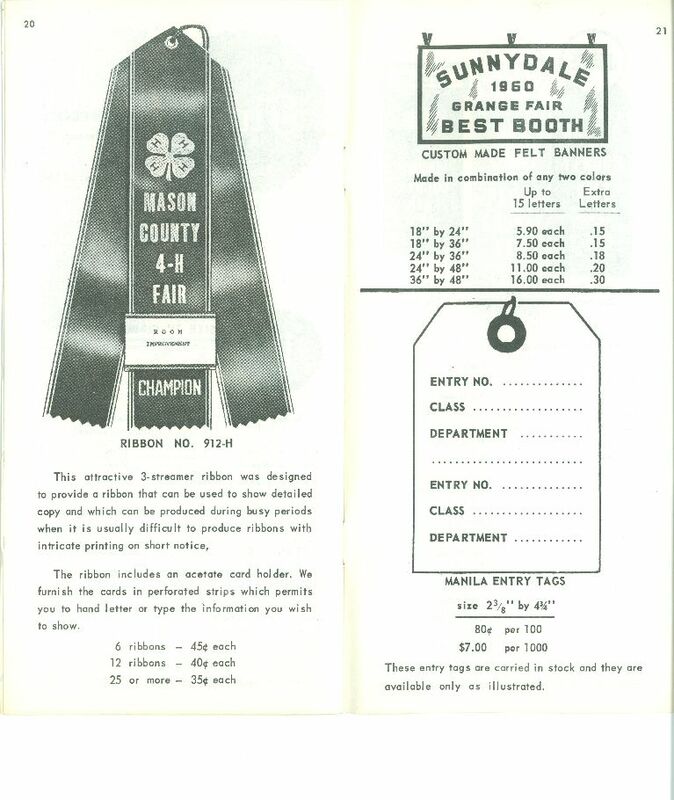 Catalogs in the late 60s and early 70s used a variation on this cover with a diagonal row of stock designs. By the mid 70s catalogs were in full color and some of the products (like the Beauty) more closely resemble what we produce today. 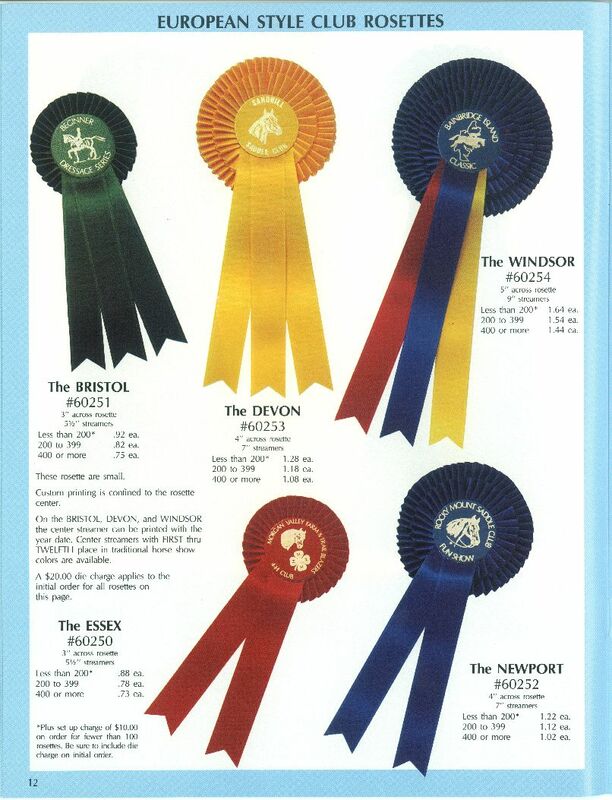 In the 80s and early 90s we manufactured European style rosettes. 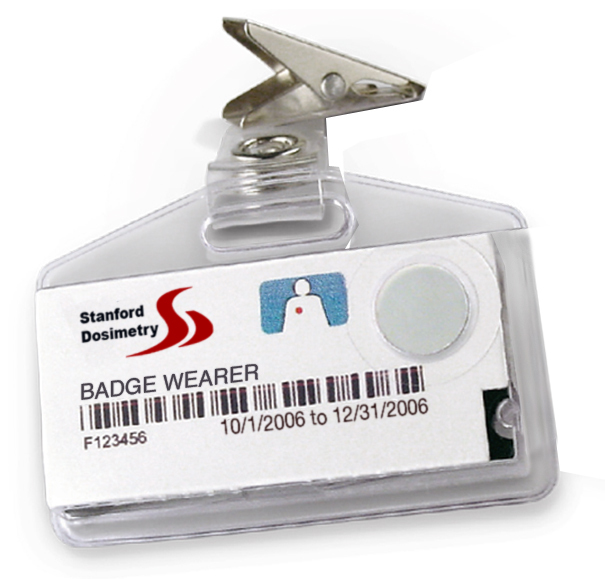 Is there any particular product or catalog you remember from years past? I’ll do my best and attempt to dig it up for the blog! Back in May, Rick set out to turn a patch of land behind our warehouse into his annual garden. 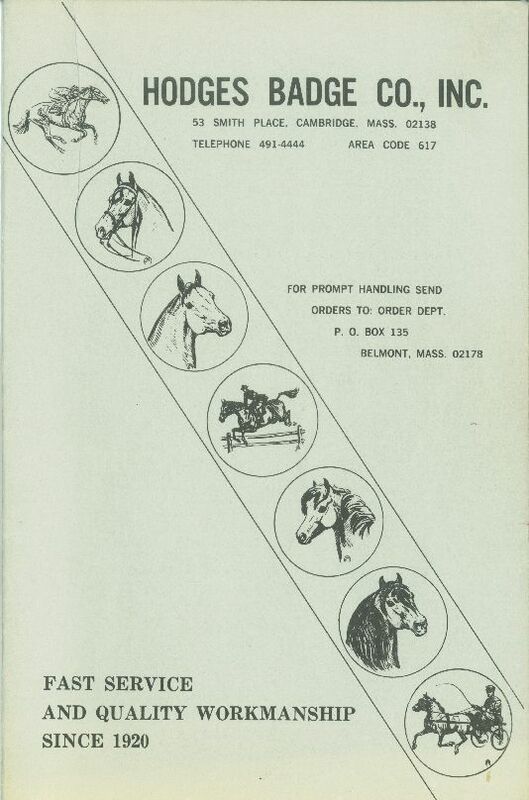 After four trailerloads of manure from Sandy Point Stables, and a few trips with the roto-tiller, he started planting seeds and seedlings for herbs, fruits and vegetables. 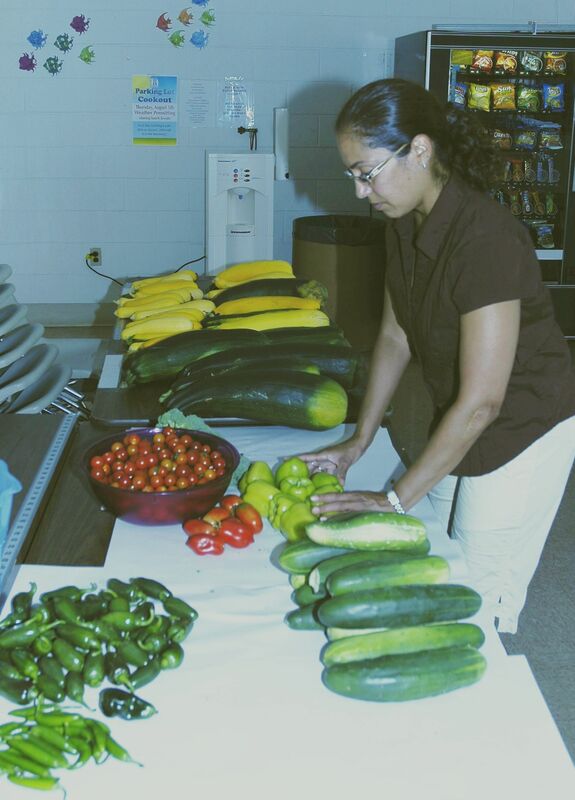 Come July, the produce has become so plentiful that the cafeteria has turned into a veritable farmstand. 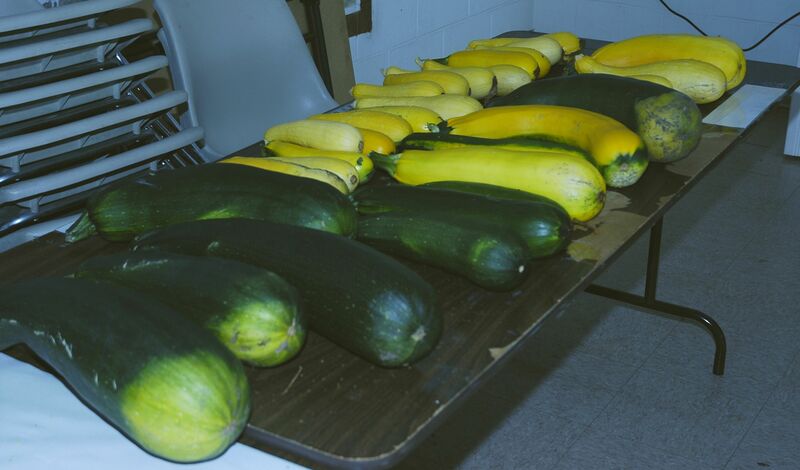 Loaded up with cucumbers, tomatoes, zucchini, yellow squash, peppers, green beans, and broccoli, the tables offer up fresh vegetables to any employee who wants them. 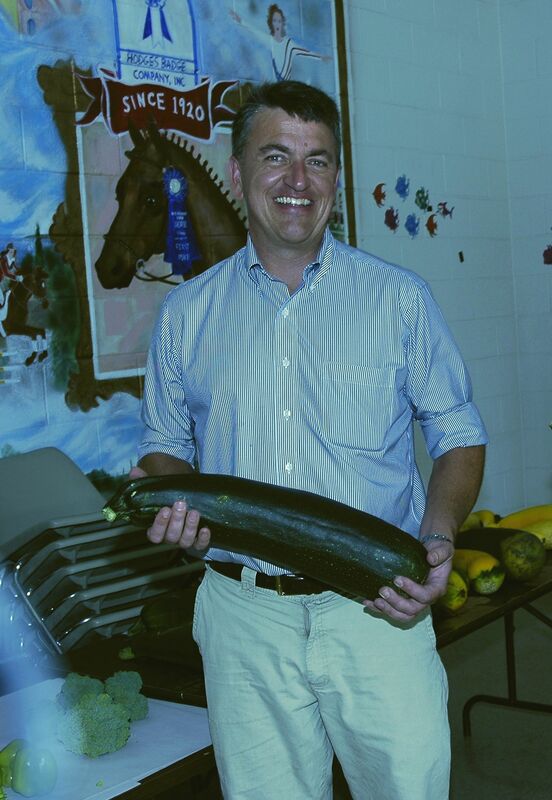 The peppers and tomatoes tend to go quickly, but people are hesitant to pick up the 28 inch zucchini or six pound squash. Not that I blame them– what do you do with that much squash?! We are still waiting for the cantaloupe, watermelon, carrots and onions to grow bigger, but they should soon join the pile. Some employees put in some time in the garden in exchange fo r picking their own produce. Others have simply gone out to gather some fresh vegetables for dinner because nobody has had time to pick them all. 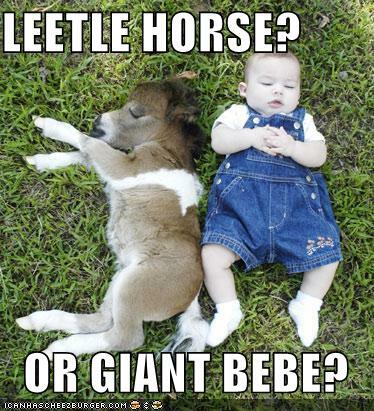 Either way, it’s been a great way to get a little sun on your lunch break and bring home some fresh food for dinner. You might have seen our address printed on our catalogs or on correspondence with your order, but exactly where is Portsmouth, Rhode Island? 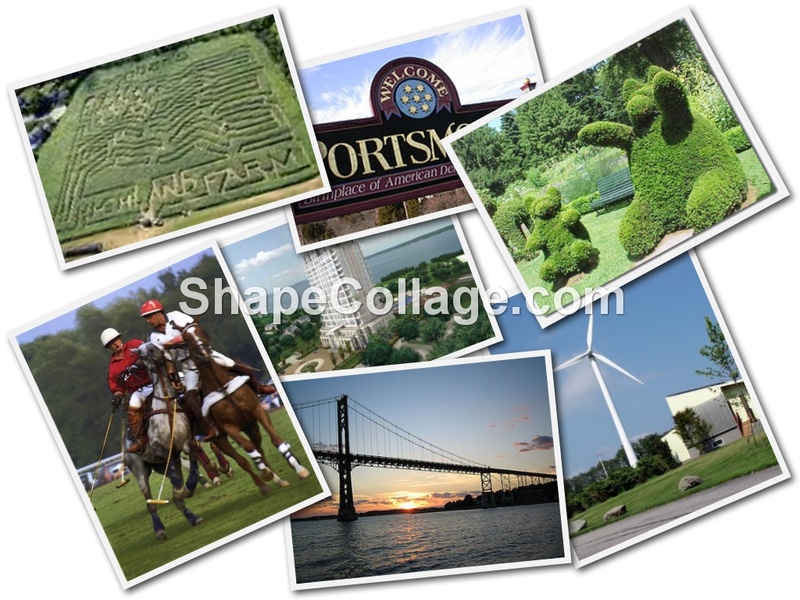 I thought I would use a blog entry to tell our readers a little bit more about the area. 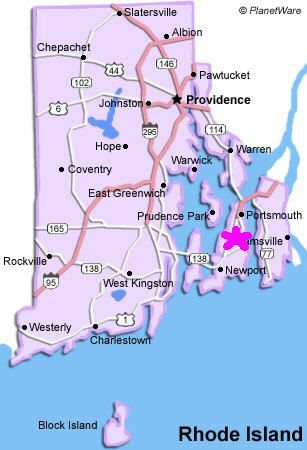 As you can see on the map, Portsmouth is located on the original island that gave Rhode Island its official name, which still today is the “State of Rhode Island and Providence Plantations”. While Aquidneck Island, as it’s known locally, is not small at 12 miles long, you still have to cross one of three bridges to get here. Other than being the current home of our offices, Portsmouth is also known for the competitive polo played at Glen Farm (former site of the International Jumping Derby in the 1970s and 80s), the well-respected Portsmouth Abbey School, and the wind turbines that rise above the landscape (ours will be the town’s third). Other random unique sites include the annual corn maze at Highland Farm (see below), the Green Animals topiary garden, and the historical marker of the Portsmouth Compact, where followers of Anne Hutchinson set up an independent colony in 1638. If you’re in the area, or even just visiting nearby Newport and the famous mansions on summer vacation, you are more than welcome to stop in. We have an awards showroom set up for visitors, and would be happy to talk with you! 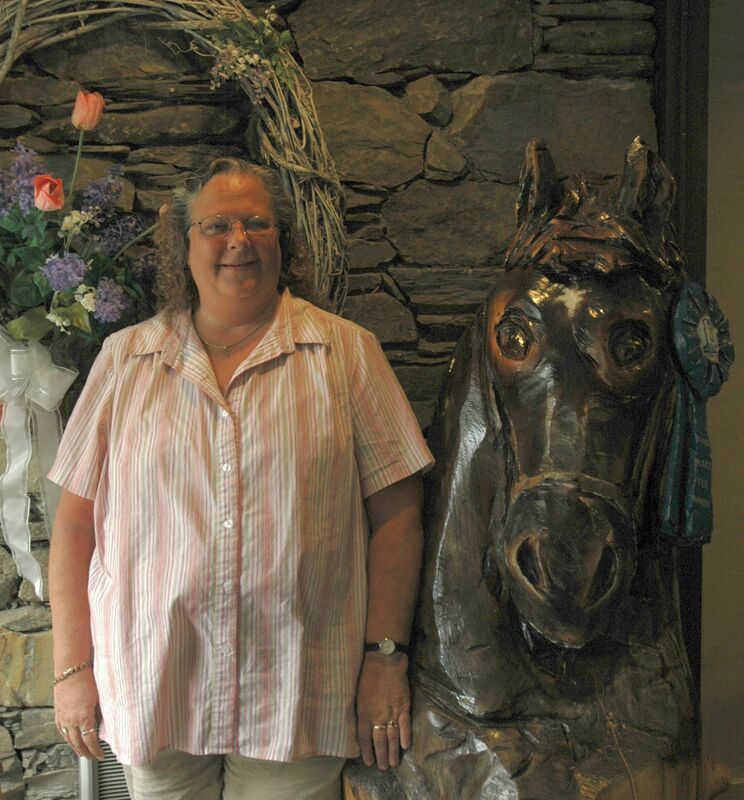 Summer is often a busy season for horse show enthusiasts, with plenty of options on the calendar each week. 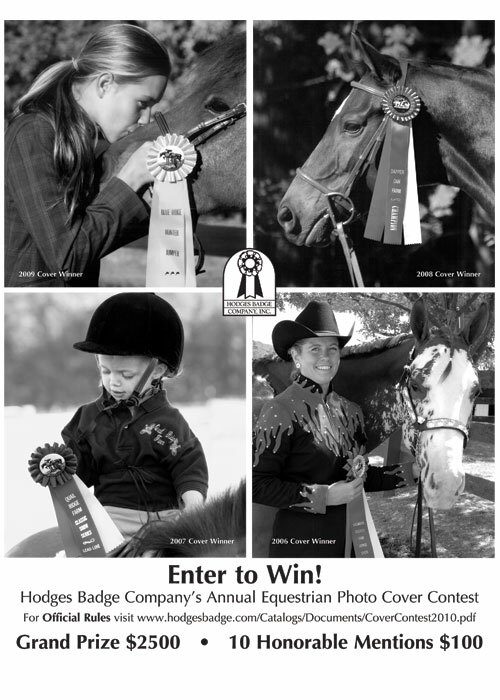 That said, I thought it would be a good time to remind you about our annual Cover Contest, where we award $2500 to the person who submits a photo with a Hodges ribbon deemed most “cover worthy.” There are also ten $100 prizes for Honorable Mentions, who will get their picture printed inside the catalog. 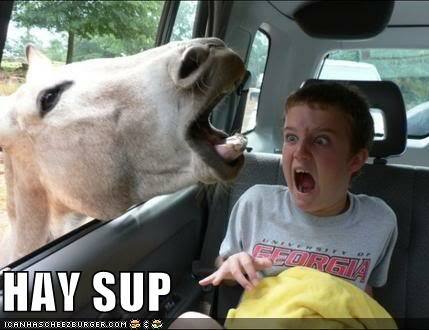 Choose your background carefully. Be mindful of tree branches and fence posts that seem to grow out of your horse’s head. We should be able to see the front of a Hodges rosette somewhere in the photo. 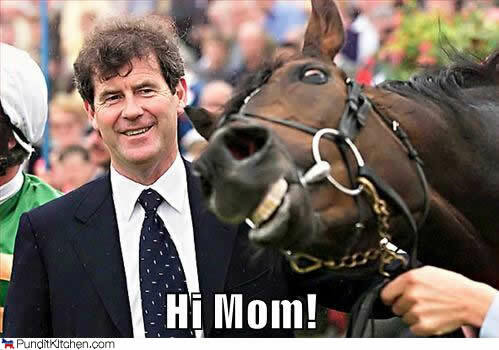 Kids are cute, but don’t discount pictures of adult riders, miniature horses, yearlings or even donkeys. 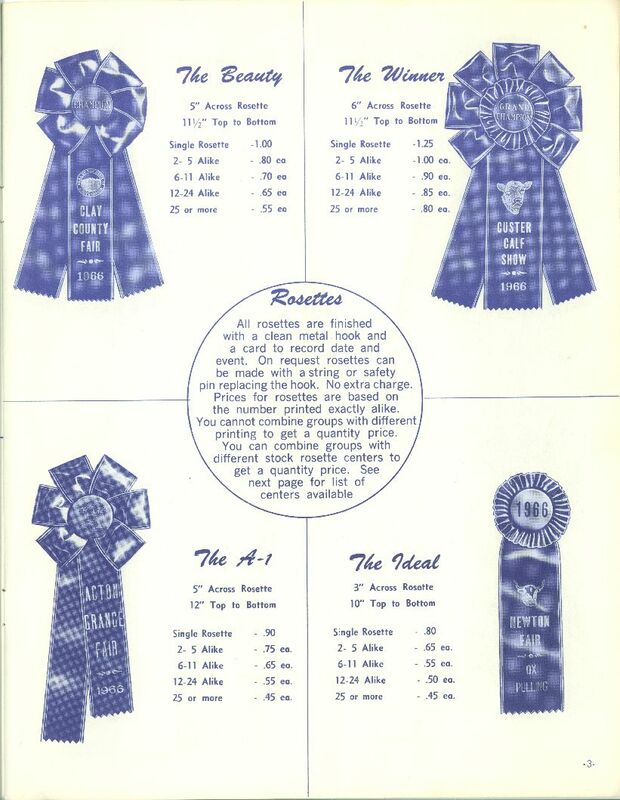 Any person or animal that wins an equestrian ribbon is eligible.